Skydive Franz is one of only nine skydiving companies to make the Red Bull list of the Most Insane Places to Skydive in the World, stating that 'if you're going to skydive you might as well have a jaw dropping view in the background'. Skydive Franz has NZ’s highest mountain Aoraki/Mount Cook and Fox and Franz Josef Glaciers immediately on the right and the wide blue ocean on the left with mountains, glaciers, lakes and rivers below. Multiple skydive heights including NZ’s highest 20,000ft. Skydive Franz is New Zealand’s premier skydive company specialising in safety and fun. They're one of only a few government safety approved skydive operators and are dedicated to the highest level of health and safety practices. 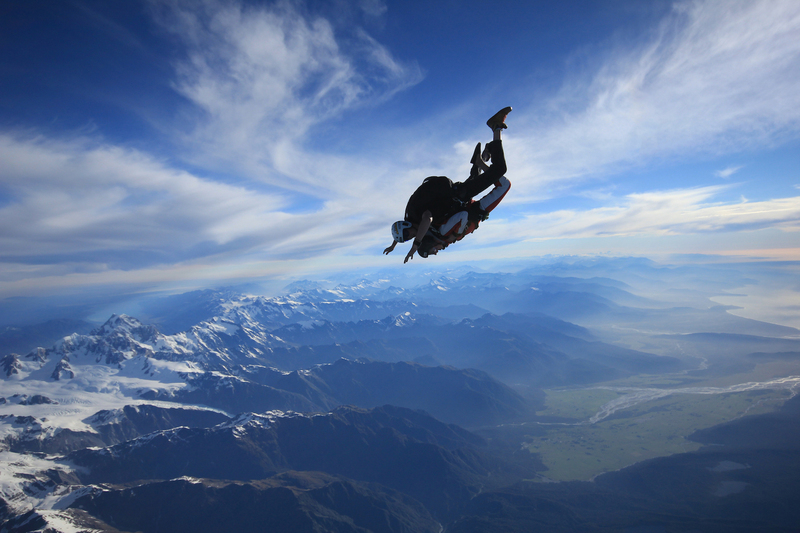 They are the only skydiving operation in the region’s largest town - Franz Josef Glacier. Their booking office is on the main street and they’ll transport you to their dropzone at the region’s largest airport which is only five minutes drive from the office.